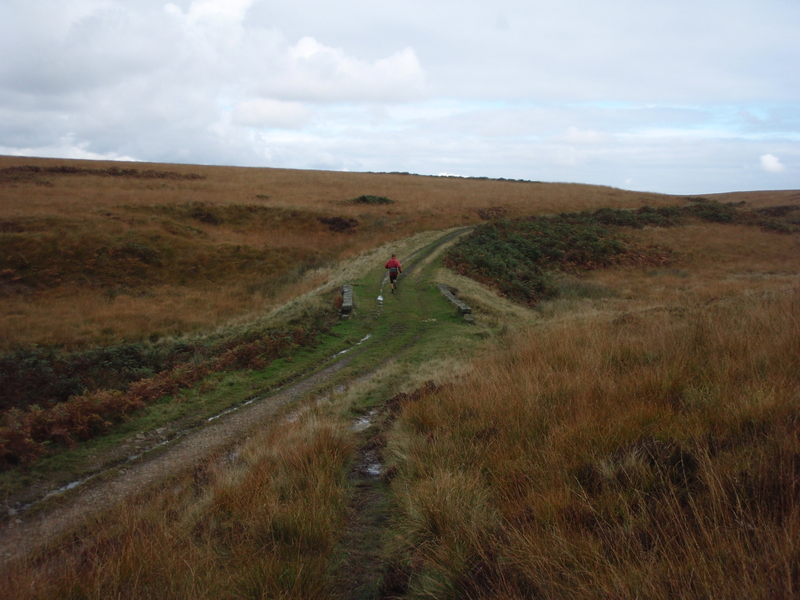 Peak District running doesn’t have to include steep hills. 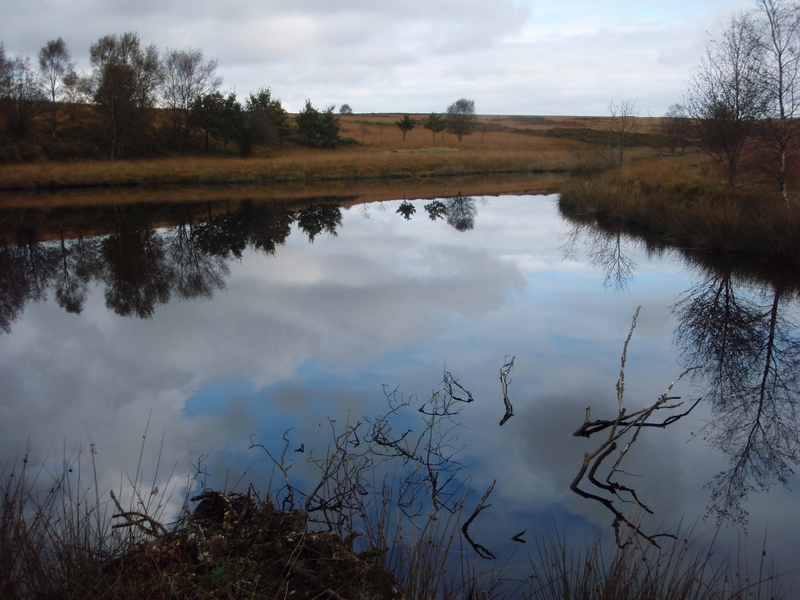 Areas such as the Burbage Valley, the gritstone edges of Stanage, Froggatt, Curbar and the Derwent & Howden Reservoirs offer popular locations and fantastic scenery for the runner. Big Moor, just off the main A621 Sheffield to Chatsworth road is a quieter area which also offers flat running in a scenic location. Having less walkers and climbers it encourages wildlife and is home to a herd of deer which can sometimes be glimpsed and, in the autumn, heard bellowing as the stags vie for dominance. 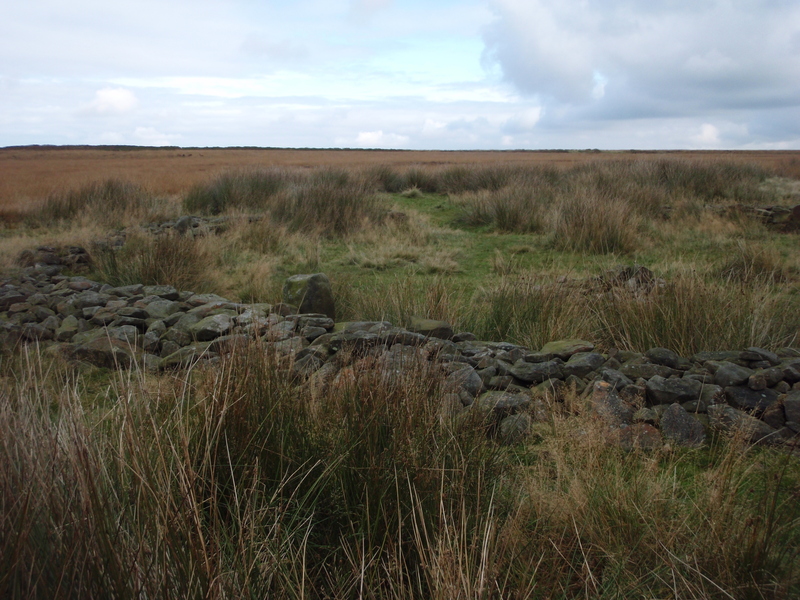 It also contains several cairns and stone circles, evidence of human inhabitation from times past. 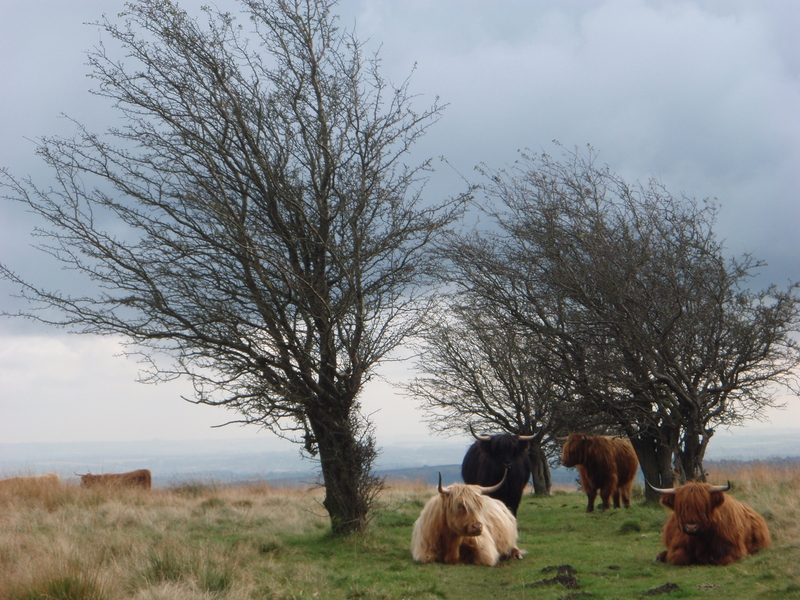 On my last visit there were also a number of long horned cattle resting beneath a couple of windswept trees. They are quite placid in nature but nevertheless well armed so I slowed to a walk to negotiate them. Parking in the small layby on the B6054 the moor is accessed by a small gate and boggy ground soon gives way to a good grassy path leading down to a short tarmac drive. 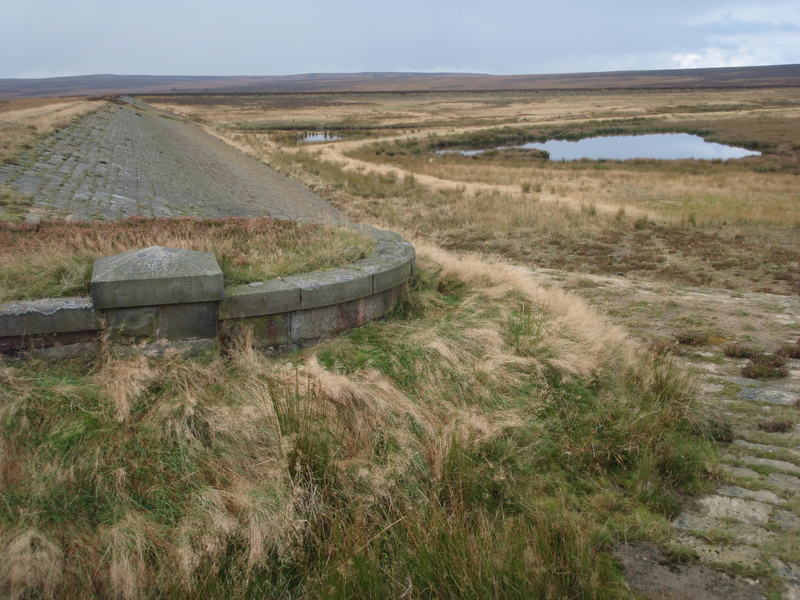 This is the access road to the lodge and (now drained) Barbrook Reservoir. Turning left here the track runs south for a couple of kilometers to a prominent white gate on the main road. It passes by a small reservoir which in today’s still conditions mirrors the few scrubby trees on its bank. The Ordnance Survey map shows a stone circle just off the path a little further down the track and I take a short detour to investigate. Several larger stones remain and I spend a few minutes inspecting them. Picking up the main path again I run down to the gate and turn immediately left taking a small sheep / deer track that runs parallel to the road for a few metres before swinging left across the moor. 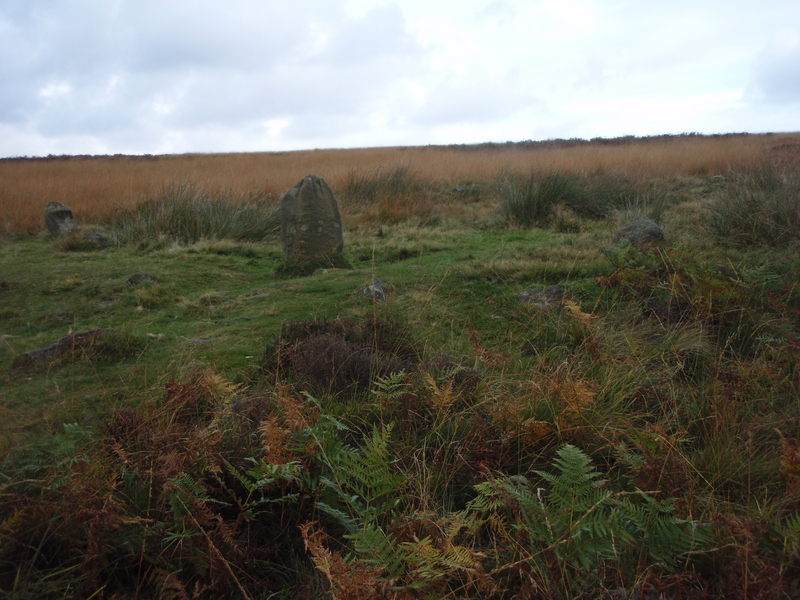 I come across several piles of stones and another, larger stone circle seemingly restored such is its good condition. From across the stream to my left I hear a low bellow and look up to see dots on the moor, the deer are there but too far distant to photograph. I push on along the thin path with the benefit of having run it numerous times and so knowing which particular line to take. It soon drops me back onto the main track, the Duke’s Drive by the bridge above the small reservoir and I reverse my outward steps as far as the lodge. I bear left behind the lodge and immediately through a gate to visit the drained reservoir. From here a path leads northwards past the windswept trees and back to the main road. 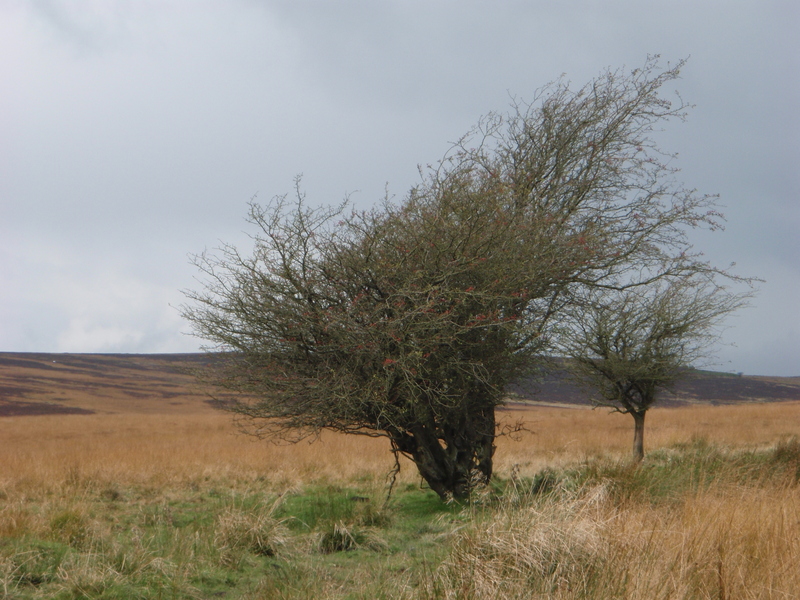 This entry was posted in fell running and tagged Big Moor, Peak District running, stone circle, trail running. Bookmark the permalink.